What is the one accessory you don’t have to worry about taking off yet makes every outfit look more put-together? Nail polish, of course! However, you can’t just use any one; you need the best. There is a lot to take into consideration when purchasing one, but luckily we have everything covered below. Let’s get started on the best nail polish on the market today! Now let’s head on to the reviews with more details. 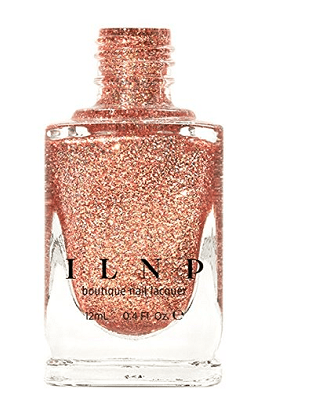 O.P.I is a brand that almost everyone has heard about or seen on the shelves, even if they’re not into nail polish. 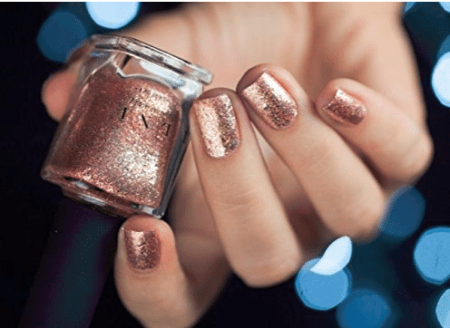 Founded back in 1981, they started off in the professional nail industry and completely turned it on its head with the launch of the famous 30 nail lacquer shades. The bottle, huge array of beautiful shades, and high-quality formulas have been at the top of the market for over 25 years. The now-iconic products practically speak for themselves. Just how many shades are there? Currently, there are over a mind-boggling 200 colors! We’re sure with a selection like that you could find at least one or 10 to suit your tastes. While not as long as the 11 days of wear and shine that their Infinite Shine formula provides, that’s still quite a while. In addition, each lacquer has their ProWide Brush for pristine, smooth application. No more bubbles nor streaks to speak of! What happens when you want to take it off? Simple! 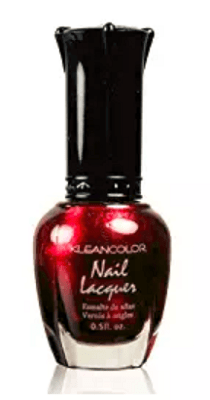 This nail lacquer is one of the easiest on the market to remove and can be done so in probably less than a minute. While it is a bit more expensive than the majority of the polishes you’d see at your local drug store, it is also going to last a lot longer, so we feel that it’s worth it. Looking for a great alternative to the nail salon but can’t find one? Sure, you could try at-home gel kits but even those won’t get you results like the Essie Good to Go Coat will. 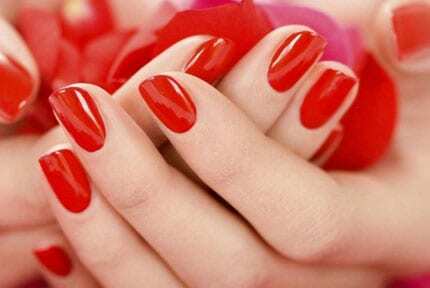 Even better, you don’t have the commitment of having gel on your nails, which is practically impossible to remove at home by yourself. That doesn’t mean it doesn’t stay on for a long time, however. This coat stays on for over a week; if you’re applying it to your toes, you may see twice the wear time. Haven’t heard of Essie before? Let’s fill you in. They’ve been a reputable nail salon brand for over 35 years, and work to consistently bring trendy colors to you for use in the comfort of your home. You can choose between the Speed Setter or the Gel Setter. Speed Setter dries to a super-glossy finish in less than a minute, while the Gel Setter is to be used on top of your preferred shade and provides a gel-esque color and shine. Whichever you one you choose, you can be assured you’ll have a protective barrier to seal in your polish, along with the brilliant finish without having to wait more than seconds! Each application features a UV color shield and wears extender to also avoid chipping and peeling at all possible. 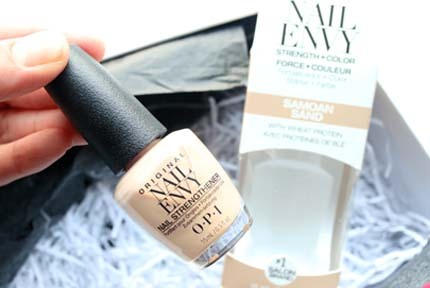 Unlike may other top coats, this one will transform your nails into a soft matte finish. We recommend hydrating with their apricot cuticle oil beforehand, and then clean the nails before applying anything. We found it didn’t look as good on lighter colors as it did with darker colors. KleanColor is more of a cult gem and if you don’t know what it is, then hop on board! KleanColor Cosmetics is a brand that has been creating their bright, colorful products for over 15 years. As you may have guessed by the name, they’re dedicated to creating beautiful cosmetics that are as clean for the Earth and its consumers, as possible. They want to give women the chance to buy affordable, yet high-quality, versatile cosmetics that can be tailored to their individual tastes. Let’s move onto the actual nail polish! The legendary collection of polish is what has essentially made the brand so well-known and reputable. Each polish ensures they don’t contain: Camphor, Toluene, DBP, and Formaldehyde, so you can rest easy knowing your polish isn’t going to harm you! Really, impressively, well. We only used one coat, and were shocked at how rich and pigmented the color was. It is very shiny and metallic and would go great for any outing or holiday party outfit. It does chip a bit if a top coat is not used, so keep that in mind. We used the Metallic Red, however, there are 5 other great color options to choose from: Metallic Yellow, Starry Blue, White, Espresso, and Jewelry, which is a brighter orangey-red. Butter London is without-a-doubt one of the most well-reputed nail polishes on the market and for a good reason! 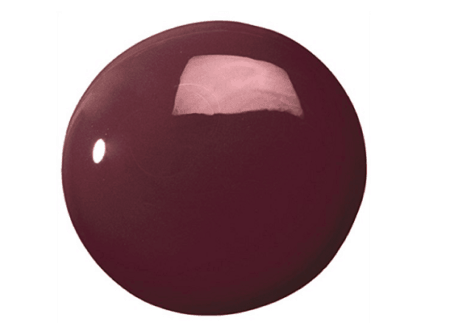 Their original 8-free lacquer is a heavily-pigmented color and finish that is inspired by the latest trends. Initially created for the catwalk, the lacquers are available in a wide variety of colors, as well as finishes; we won’t list all 31, but you can be assured that you’ll find something for every mood, taste, and outfit. As you may know, not each nail polish is created with equally healthy ingredients. Some contain rather damaging ingredients, which isn’t good for the users, nor the environment. However, at Butter London, they only use the highest quality ingredients to formulate an effective, healthy polish. The nail polish contains Hydrolyzed Silk, Horsetail Extract, as well as Vitamins C, B, and E. These are included to help promote strong, healthy, hydrated nails. You may have seen or experienced first-hand, dried-out nails that are prone to cracking or chipping. Not anymore! 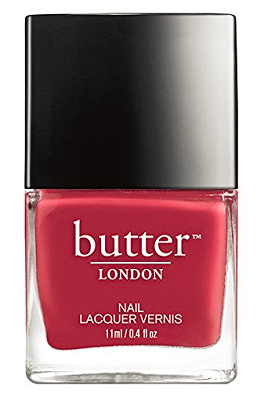 In addition, Butter London is 8-free. It means that it does not contain: Formaldehyde, Formaldehyde Resin, DBP, Toluene, Camphor, Ethyl Tosylamide, Xylene, or Tphp in any of its nail products! That’s great, but how does it work? Very well! The color-rich pigments provide excellent coverage in just one stroke! That means you can take less time to do your nails, and your product will actually last you longer, as you don’t need to use as much polish as you would with some competitors. To get the best application possible, we recommend using their Melt Away Cuticle Exfoliator on your cuticles, wait two minutes, and gently push them back. Remove the residue, and start with a basecoat. Let it try, then apply two coats of your choice Butter London lacquer and let that dry. Then, go ahead and put on the Hardwear Shine UV Topcoat for a super-glossy finish. By now, you may be wondering if anything is wrong with this product! Well, there’s nothing really “wrong”, per se, however, it is one of the most expensive nail polishes on the market today. Just remember that it will last you longer than the cheaper products usually will. ILNP is quickly becoming a favorite among the masses, and frankly, among us as well! While we’ve found all of their products to be impressive, we particularly took a liking to their Juliette Holographic Nail Polish. There are a lot of different options to choose from, if you’re not feeling the holographic look, too. Upon application, you’ll see that their shades are completely opaque, have an excellent color payoff, and are highly reflective. We were actually hard-pressed to find any nail polish that even came close to being as reflective as the ILNP. Juliette is actually a shade among their larger collection. It’s rose gold, or what’s often referred to as “millennial gold”. It’s absolutely the most trendy color out there, and we have a feeling it’ll stay that way for quite a while. It features large, oversized flakes which are excellent at reflecting sunlight. Each flake is very thin, luckily, however, they can still make things go awry quickly if you’re not careful in how many coats you apply. It can easily look chunky if you don’t pay attention. After application, the polish dries very quickly, so you can head out for brunch or a night out just after application and show off your new color! It also lasts a good amount of time, so you don’t have to keep removing and reapplying it. If that wasn’t good enough, the polish is also cruelty-free and vegan, which is not only great for those who take ethics into consideration but opens up some more wonderful options for vegans! On the hunt for a truly hard-as-nails nail polish but are having trouble finding one? Most nail polishes are going to say that they last a long time, but when it actually comes time to use it, they end up chipping or don’t distribute well during application. The Sally Hansen Miracle Polish is technically a two-step set that makes going to pay for gel at the nail salon arbitrary. Sally Hansen is America’s number one best-selling brand of nail color as well as nail care, providing their customers with solutions for just about any issue or any nail color that they’re looking for! The Miracle Gel is their best chip-resistant nail polish and we feel should honestly be placed in a different category just based on how tough it is. The application goes on smooth, easy, and distributes quite well. After achieving that perfect, polished look, you can easily maintain it, even if you live an active lifestyle. Apply two coats of the Miracle Gel Polish in your preferred color, and let dry for 5 minutes. After that, apply one coat of the Miracle Gel Topcoat, and you’re all set for whatever you need to take on! Oh, and speaking of colors, Sally’s got it. To be more specific, she has over 70 shades to choose from; we think you can manage to find something from that! When it comes time for removal, it’s also one of the easiest to take off. With easy, soak-free removal, you can live your life without having to wait for your nail polish to tell you when. We could really only think of one, and that is that if you don’t buff your nails before application, you may find that the polish doesn’t stick as well as it has the potential to. If ever there was proof that nail polish has evolved over the past few years, Zoya is the prime example. Toted as “the healthier color of fashion”, it’s one of the best choices for pregnant women and health-conscious women alike, all over the planet. The cruelty-free nail polish is vegan-friendly and is actually the most durable natural nail polish that is simultaneously big 10-free. Zoya was founded over 30 years ago by Zoya and Michael Rezis. They wanted to change a small nail salon into a health-focused spa with natural solutions for the nails, skin, cosmetics, and hair! Today, they’re bigger than ever before and are known as the go-to manufacturer of innovative, healthy, high-quality beauty products. It’s formulated without formaldehyde, formaldehyde resin, dibutyl phthalate, toluene, camphor, tphp, parabens, xylene, ethyl tosylamide, and lead. Is it hard for you to find a color or finish you like? That is no longer an issue for you, with the 323 colors/finishes Zoya offers. Truly, think of even the most obscure shade, and it’s practically guaranteed that they have it. Oh, and no matter which shade you decide on, the color payoff is amazing and vibrant! They honestly all go on perfectly; it’s almost as if the brush knows the precise contours of your nail! If you’re one of those who somehow always ends up getting your polish on your fingers more than your actual nails, then you’ll know how important this is! Now, let’s move on to the not-so-good. The polish can be a bit more difficult to remove than some others on our list, however, overall it really wasn’t bad. We can’t say enough pleasantries about Zoya; they’re amazing! Created back in 2012, Aimeili is a pretty new company with the goal of its users to rock vibrant, beautiful nails, and feel better about themselves. They seamlessly combine beauty, along with more fun elements. What kind of fun elements? Oh, things like temperature color changing, diamond ranges, candy range, galaxy paranoid collection, and much more. 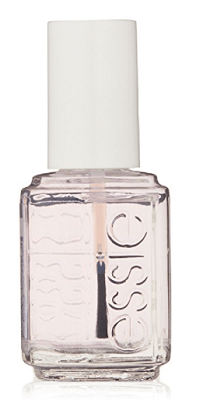 The gloss polish itself has a very long wear time; up to 14-day, high-gloss wear! 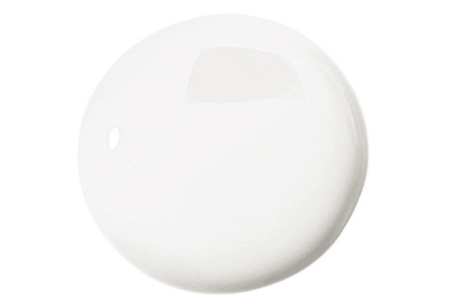 The finish is like a mirror: super-reflective with no nicks, chips, or smudging. Keep in mind that this gel does require a UV light, and it’s not the easiest or least-damaging to remove. They recommend filing the top coat off gently, taking an acetone-soaked cotton pad, wrap it around each nail with tin foil, leave for 10 minutes, then remove the softened gel with some kind of cuticle-pusher. By now, you’ve covered a lot of products, and perhaps you know which one is the best nail polish for you. If so, that’s wonderful! If you still have some questions about which polish you need for your preferences, style, and lifestyle, then keep on reading. We’ve created a buying guide to make sure that you are helped every step of the way in the purchasing process, and so that you don’t have buyer’s remorse! When we think of nail polish, what do we think of first? The vast majority of us are probably thinking of some sort of shade. Perhaps it’s a deep, dark red to use on an anniversary, or a sparkly silver to use on a night out. Colors evoke moods and feelings. It may sound crazy, but it’s true! Think about your favorite color; it makes you feel happy when you look at it. Wouldn’t you love the same whenever you look down at your nails? So, with that being said, it’s important to first settle on the color you want, before anything else. Also, think about the kind of finish you want. Do you want the classic glossy look? The more trendy matte feel/look? Or perhaps a more outrageous holographic shine? Select this after you’ve selected your shade. What kind of lifestyle do you have? Do you find yourself running around all day, taking care of children or pets? Do you have a job where you have to type at the computer, or perhaps you’re a bartender and use your hands often? If that’s the case, you’re going to want to make sure your nail polish can live up to that and isn’t going to chip at the smallest form bit of resistance. In addition, durability adds to the ease of the nail polish experience. Many of our first experiences with nail polish are with cheaper ones that we may receive as children or teenagers. These usually chip off almost immediately, and then you have to deal with the potential hassle of removal and reapplication. Just pick a high-quality product so you don’t have to deal with any of that. Even if it’s more expensive, it’s going to be worth it, because the product will ultimately last you longer and look better. 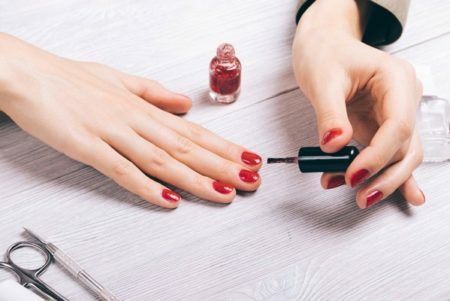 We’ve all used them before; the nail lacquers that look great in the bottle, but once you try to apply it onto your nails, they’re as sticky as tar. And don’t even try to actually put it on your nails, because you’ll just end up with a gooey mess. On the other side, there are polishes that are super thin and have a water-like consistency that makes it difficult to keep on the nail, and even if you do manage to get some on, you’ll have to apply a dozen coats! With that being said, always try to find a polish that is going to go on nice and smooth, with minimal to no bubbles and streaking to speak of. 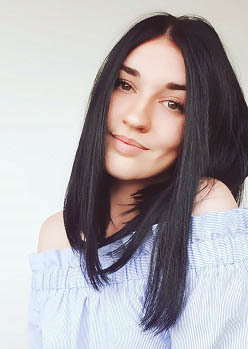 If you can, also select one that has a great color payoff and spreads well, so that you don’t have to use a lot of product to get your desired result. So, your new polish goes on easy; great! But, at some point in time, you’re going to have to remove it. Sure, you could go about it the wrong way and chip it off, but we definitely do not recommend that unless you want fragile nails! Some nails require soaking with acetone and that’s not really ideal for the integrity of your nails, either. There are some that don’t require any soaking at all and come off easily and quickly. That will save you time and who doesn’t like convenience? How much are willing to spend on your new nail polish? We recommend figuring that out beforehand so you don’t end up compromising when you see something really cool. When it comes to nail polish, the prices don’t vary so much that it’s going to break the bank if you choose a more expensive one. They typically vary a maximum of $10 or so. However, it does make a difference, so we’d also like to remind you that the more expensive nail polish formulas are typically longer-lasting and will require less product to get a better-looking finish. Now that you’ve had the chance to read in-depth about pretty much anything you could ever want to know about nail polish, have you found the best for you? 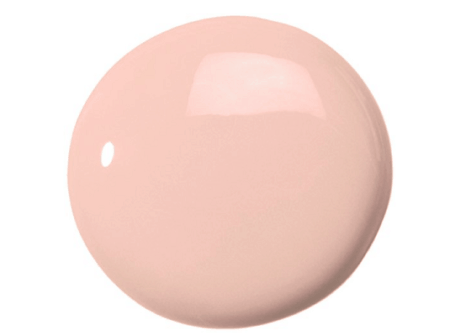 If not, we’d like to elaborate on our Editor’s Favorite, which was the Zoya. First of all, Zoya is one of the only products out there that is completely safe for pregnant women to use and is also vegan-friendly. It’s free of many potentially-harmful ingredients, which we of course support! In addition, it comes in 323 shades and finishes. That’s insane! 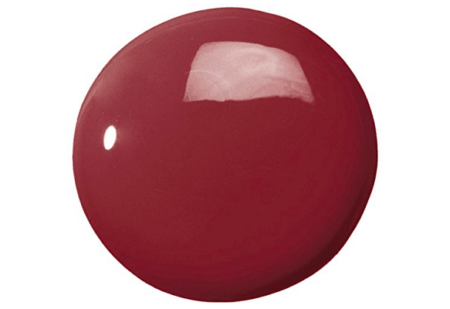 You truly can find just about any shade or finish that you’re looking for; no matter how obscure. The polish goes on super quick and easy, the brush is perfectly-shaped, and you only need one or two shades for a beautiful look. The price is neither cheap nor inexpensive; honestly for how little product you need and how long of a wear time you get, it’s more than worth it. So, which of these best nail polishes will be making their way onto your nails?